The Americana is a shoulder and elbow lock technique. 1. Usually your opponent’s arms will be in to his chest. 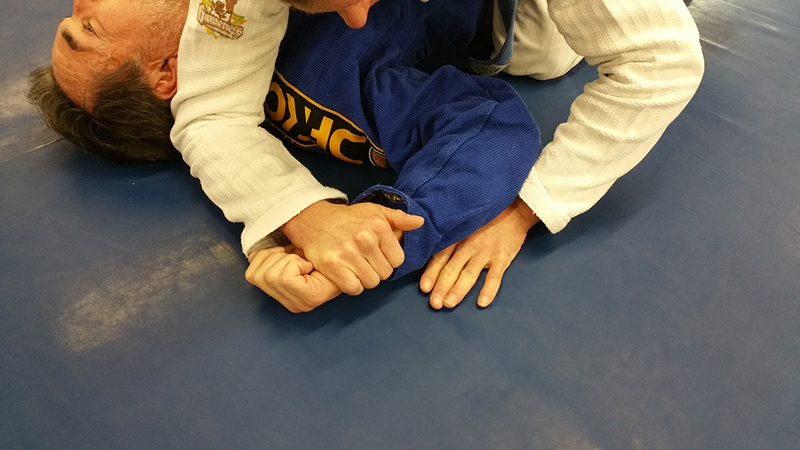 To get his right arm to the floor be sure to place both of your hands on his wrist and forearm. Keep your thumbs to your hands and don’t grab his wrist. Straighten out your arms and lock them out. This will allow gravity to push his arm to the ground. 2. Once your arms are locked out lean forward and take his arm to the ground. This will allow gravity to help you take his arm down instead of brute strength. 3. 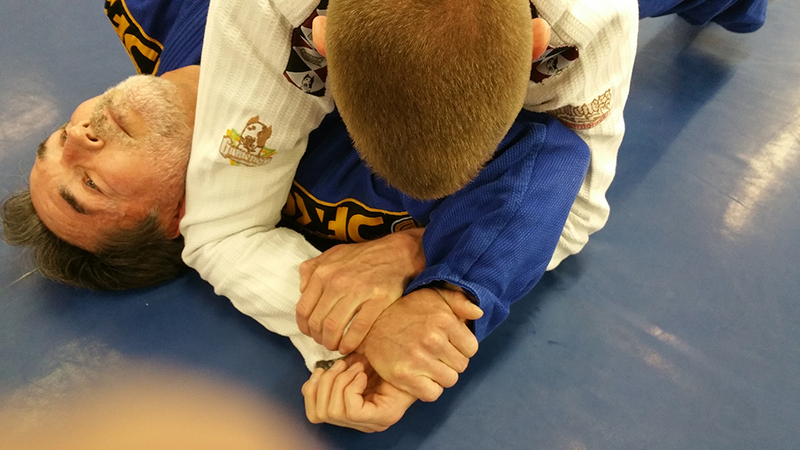 Once you take your opponent’s arm to the ground take your right elbow and place it next to his ear. Be aware that you are hooking his wrist with the four fingers and the thumb is not engaged. This prevents him from breaking through your finger grab as opposed to if you used your thumb to grab. Your left hand comes under your opponent’s right arm from the side. 4. You are now “grabbing his watch” with your right hand and “grabbing your watch” with your left hand in a figure 4 pattern. 5. Your left forearm and bicep are framed under your opponent’s right tricep. Your head is also down o so that in a self-defense situation your opponent can’t punch you in the face. 6 & 7. 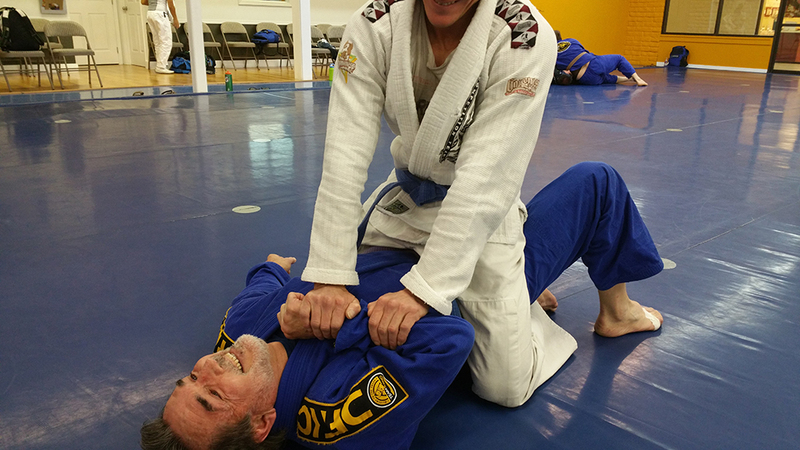 Pull your opponent’s right arm in tight and slide it down to his ribs like a paint brush. Keep your opponents wrist to the ground. The only thing that lifts is your opponent’s elbow as it slides closer to the ribs. 8. 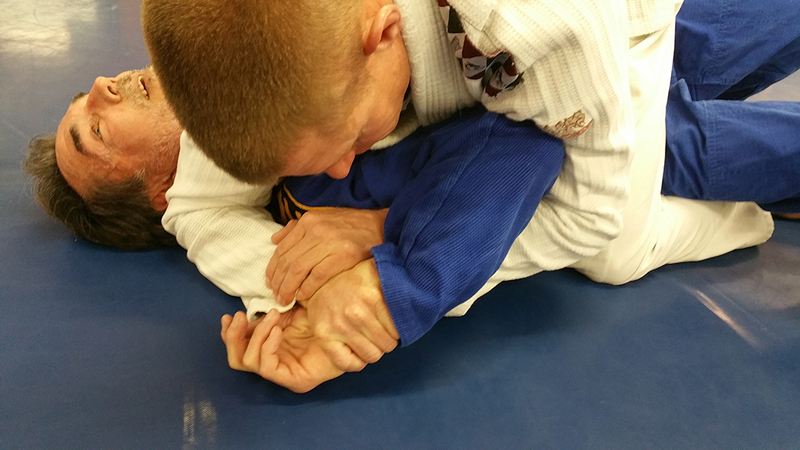 Try to get your knees out of the way in order to get your opponent’s elbow to his rib as you paintbrush. 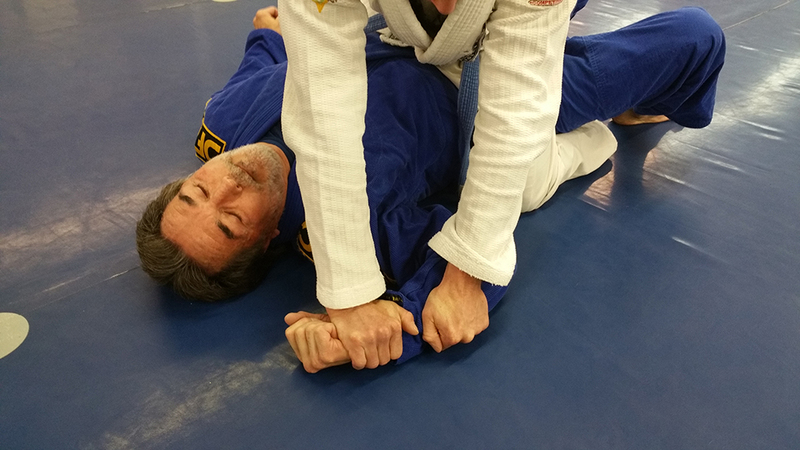 Many people will “grapevine” their legs around their opponent’s legs as they apply the shoulder lock.